Every two years, the Museum of Modern Art reevaluates how photography is best represented. The latest exhibition in MoMA’s ongoing series emphasizes the human experience, the power of people at a time of crisis. Being: New Photography 2018 juxtaposes world politics with personal style. Contributing photographers glorify and critique different cultural institutions in ways that challenge viewers to look differently. What makes photography truly radical is its sustained disobedience to social norms. As global tensions escalate oppression and limit human rights, photographers respond by challenging artistic conventions. 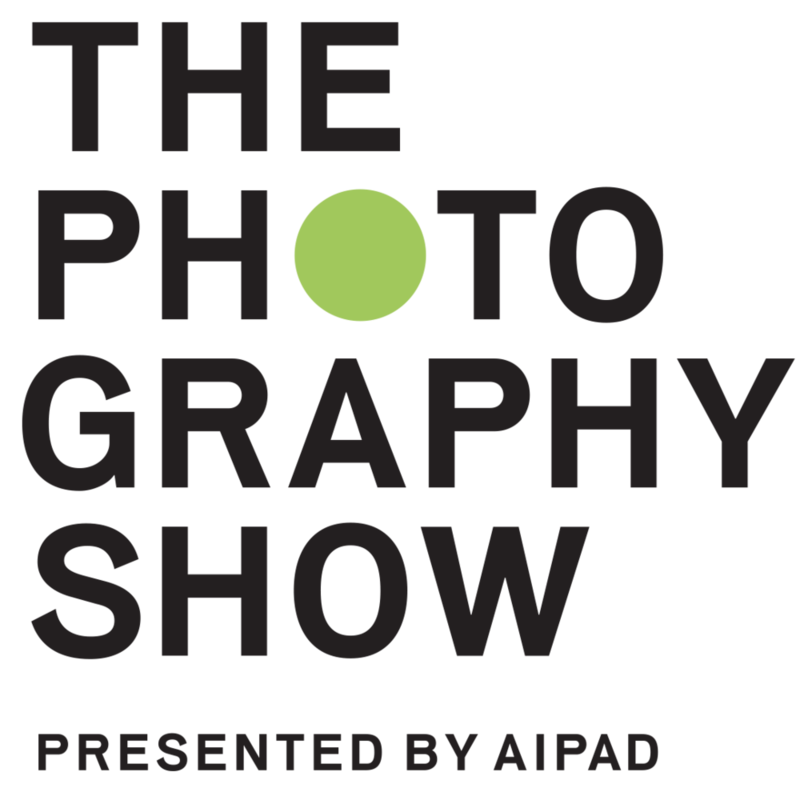 Though rooted in tradition, the exhibition explores photographic integrity in its many forms, from portraits to videos and graphic design. The human form is rendered non-objectively, and a singular experience is conveyed through sporadic imagery. This diversity of content, method and process reveals a central tenet of the exhibition, and for art in general: that being is much more than what we see in the natural world. Democracy is at the center of Adelita Husni-Bey’s contributions. In “The Council,” the Italian artist arranges 13 subjects of various ethnicities around a long table. All throughout the room are signs, maps and documents bearing insignias, floor plans and phrases like “No new building” and “Investment in technology.” Some members of the council have their hands raised, while others look on indifferently. Dressed in casual and colorful clothing, this photograph satirizes how our political processes can persuade—and often dissuade—progress in a democratic society. 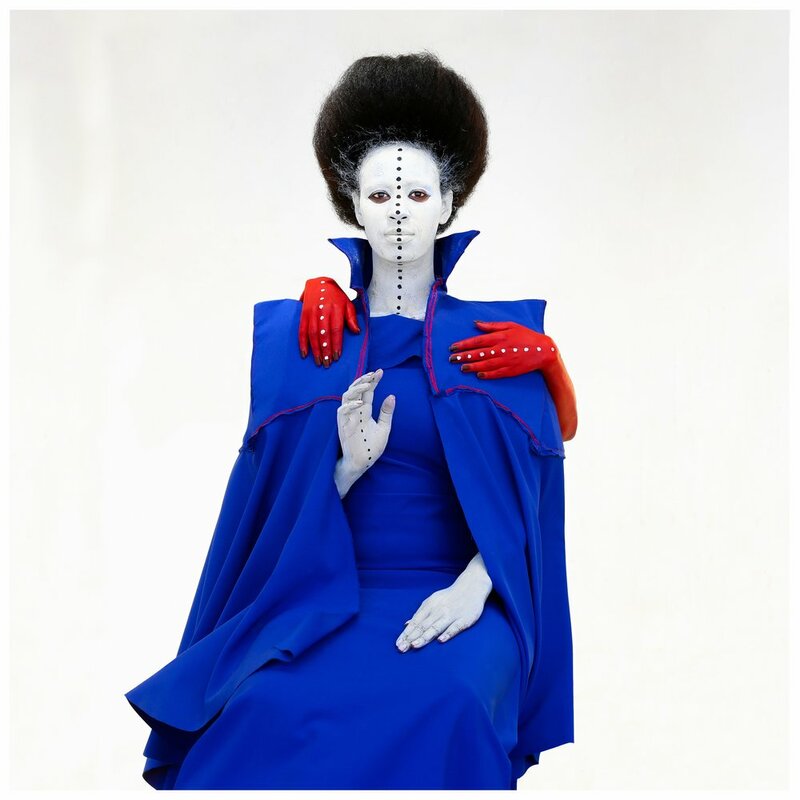 Aïda Muluneh works with hyperreal color and high fashion to redefine body image. In her abstract portraits, the Ethiopian photographer depicts regal black women painted bright shades of red, yellow, blue and white. While the elaborate hairstyles and outfits bear similarities to traditional African dress, the people in these photographs show no definable nationality or ethnicity. Rather, Muluneh creates her own style of identity. Based on her experiences as a photojournalist for The Washington Post, her work is deeply devotional and aristocratic. In empowering her subjects, she reveals a unique iconography that is wholly her own. In the Cargo Cults series, Stephanie Syjuco modernizes ethnographic studio portraiture through a Marxist lens. Using mass-manufactured products, she decorates her subjects and their surroundings with patterned textiles and clothing from shopping mall department stores like American Apparel, Forever 21, Urban Outfitters and H&M. Rendered in black and white, these jagged portraits critique how companies appropriate and commodify cultural traditions for fashion. The multiplicity of patterns provides camouflage for the women in Syjuco’s photos, whose physical features are barely detectable beneath the layers of amalgamated patterns. Other contributors approach the theme more non-objectively. Indian artist Shilpa Gupta splits inkjet prints of everyday ephemera into multiple frames. The result is inherently experiential, as we view the fragmented objects, landscapes and colors through her unique perspective. 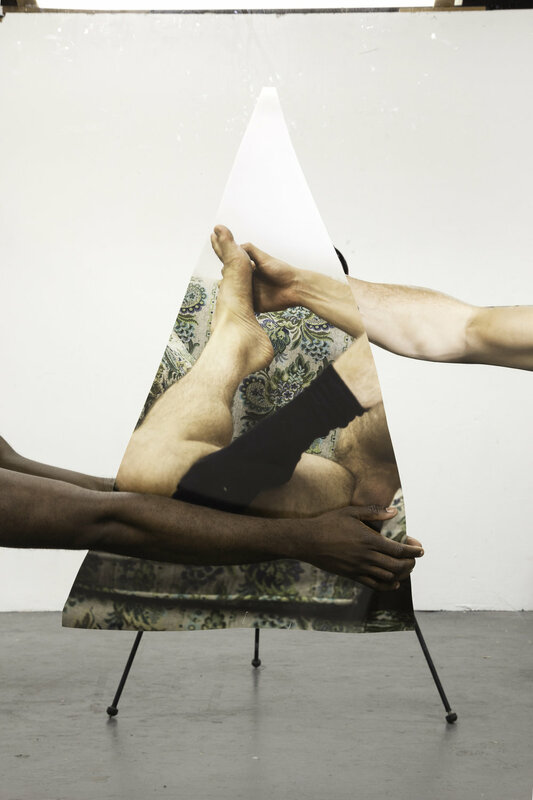 Similarly, Paul Mpagi Sepuya works with mirrors to distort the human body. Limbs and curves become elements of collage through his lens. In picking bodies apart and reassembling them into abstract art, he speaks to the manipulation of body image as a means to personal ends. Being: New Photography 2018 is on display until August 19 at 11 W 53rd St. For more information, visit www.moma.org.